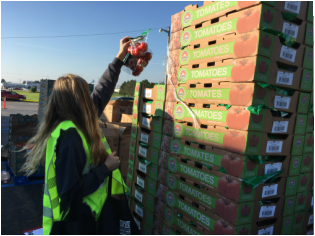 that will be distributed to hungry people in our community." ​Stone Soup Food Bank provides bakery, produce, meat, dairy and non-perishable food to the hungry throughout Lapeer County. ​Stone Soup also supports other Lapeer County pantries and soup kitchens through excess food donation assistance. We partner with local organizations, businesses, non-profit agencies, government, local media and countless volunteers. We are a place for the community to meet in a collaborative effort to create hope and end hunger in our community. We are currently assisting over 60 agencies with food assistance. Great people, good food and it is so nice they have something like this for people. Thanks for the help. "I was very impressed by the amount and variety of product I received. Great People. Very friendly and this really helps me out through the month with food. Thanks so much. What a great place to come and receive the foods that my children will eat. I get to choose it for them. They will enjoy everything. And to see the smiles on their faces with the foods they will like to eat. Thank you so much for the overwhelming experience. This was a great help. This is a wonderful thing you all are doing. Thank you so much for everything you have done for my family and everyone else that comes here. You are all a wonderful bunch of people. God bless all of you. 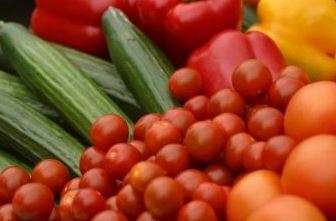 They offer a great selection of fresh tomatoes and peppers all the time. I love the recipes that have been created. I would have never thought of putting certain items together. I find all the volunteers very friendly and willing to help. 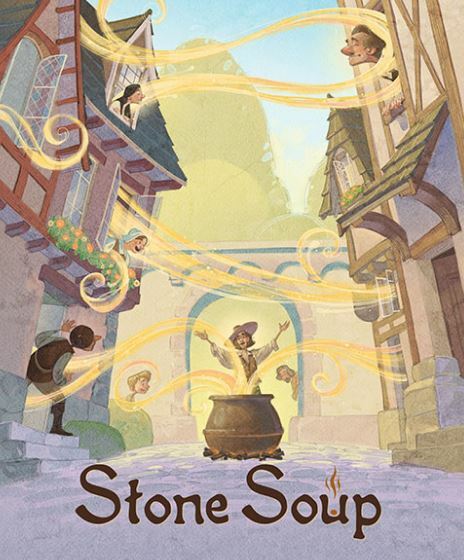 I needed help with food for my family and Stone Soup was there to help. A kindly, old stranger was walking through the land when he came upon a village. As he entered, the villagers moved towards their homes locking doors and windows. The stranger smiled and asked, why are you all so frightened. I am a simple traveler, looking for a soft place to stay for the night and a warm place for a meal. "There's not a bite to eat in the whole province," he was told. "We are weak and our children are starving. Better keep moving on." "Oh, I have everything I need," he said. "In fact, I was thinking of making some stone soup to share with all of you." He pulled an iron cauldron from his cloak, filled it with water, and began to build a fire under it. Then, with great ceremony, he drew an ordinary-looking stone from a silken bag and dropped it into the water. By now, hearing the rumor of food, most of the villagers had come out of their homes or watched from their windows. As the stranger sniffed the "broth" and licked his lips in anticipation, hunger began to overcome their fear. "Ahh," the stranger said to himself rather loudly, "I do like a tasty stone soup. Of course, stone soup with cabbage -- that's hard to beat." Soon a villager approached hesitantly, holding a small cabbage he'd retrieved from its hiding place, and added it to the pot. "Wonderful!!" cried the stranger. "You know, I once had stone soup with cabbage and a bit of salt beef as well, and it was fit for a king." The village butcher managed to find some salt beef . . . and so it went, through potatoes, onions, carrots, mushrooms, and so on, until there was indeed a delicious meal for everyone in the village to share. The villager elder offered the stranger a great deal of money for the magic stone, but he refused to sell it and traveled on the next day. As he left, the stranger came upon a group of village children standing near the road. He gave the silken bag containing the stone to the youngest child, whispering to the group, "It was not the stone, but the villagers that had performed the magic." The moral is that by working together, with everyone contributing what they can, a greater good is achieved.